Help Billy get to the lollipop to clear the stage. 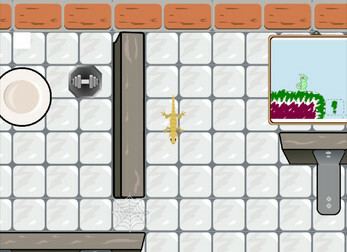 You'll need to pickup items to get trough some obstacles, but beware! While some items will help you, others can cause trouble!